RICHARD SOLOMON ARTISTS REPRESENTATIVE: Thomas Ehretsmann Stings! Thomas Ehretsmann is known for his incredibly detailed and mood drenched paintings. 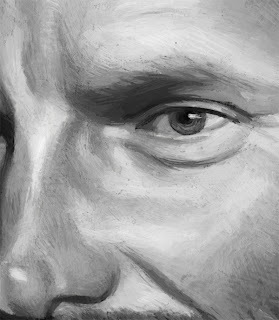 His painstaking process of laying out each change of value in un-blended brushstrokes may be time consuming but in the end shows clear, successful results. 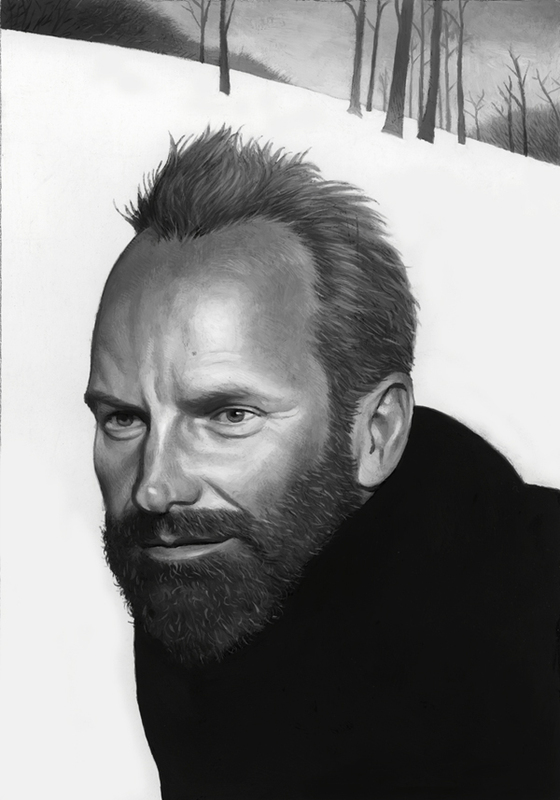 This painting of Sting, created as a personal project using tempera, shows all of those qualities that make Thomas a great artist.